Joseph Trumpeldor (1880-1920) was a Russian Jew with numerous military exploits to his name. The most decorated Jewish soldier in Russian history, he lost an arm fighting in the Russo-Japanese War, and spent a year as a Japanese prisoner of war. He was a passionate Zionist and emigrated to Palestine in 1911, where he dedicated himself to supporting Jewish self-defense groups. He formed and led the Zion Mule Corps during World War I, fighting at the Battle of Gallipoli. 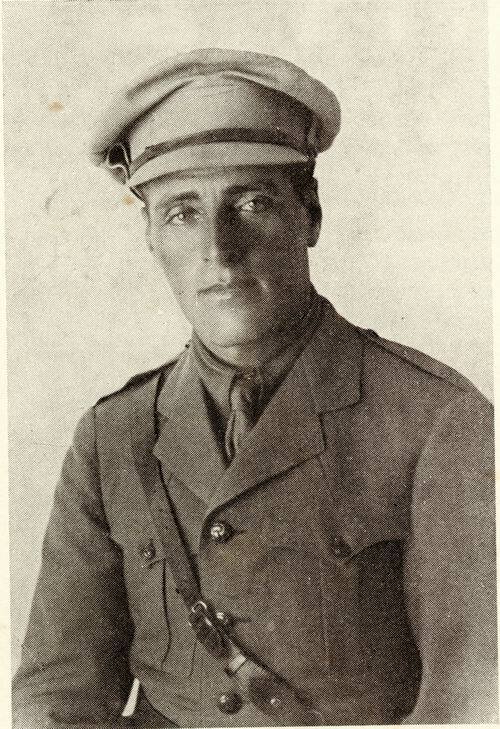 Mortally wounded fighting off an Arab attack at Tel Hai in 1920, Trumpeldor is said to have famously muttered, “En davar, tov lamut be'ad artzenu (Never mind, it is good to die for our country)” just before dying. He became one of the first Zionist martyrs and Israeli national heroes: the city of Kiryat Shmona is named after him and seven other Jews killed at Tel Hai.